A complete set of icons inspired by iPhone including 65 FREE, brand new and crispy icons done for your personal use only. If you need my commercial services, please visit my web site Link or follow me on twitter @treetog. 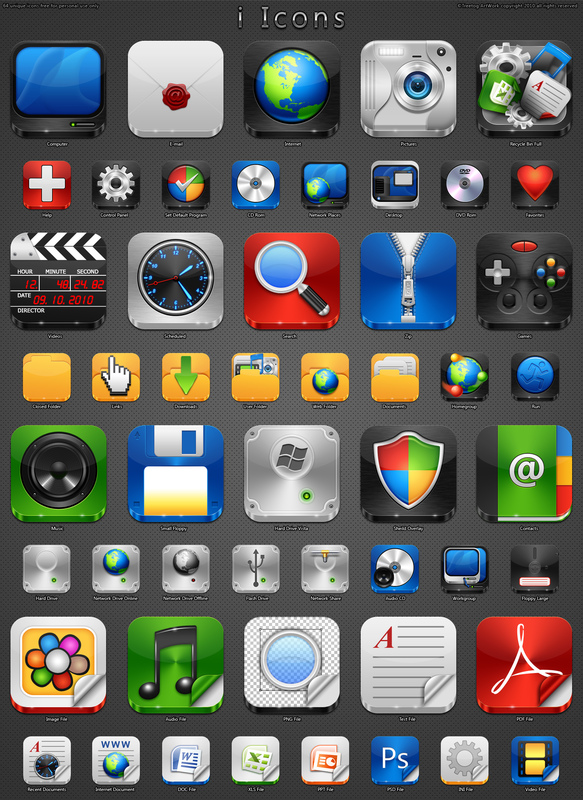 these will definitely become one of the most popular icon sets ever. Inspirational!!!!! Thank you Renato. BEST EVER!!!!!!!!!!!!!!!!!!!!!!!!!!!!! U R AMAZING!!!!!!!!!!!!!!!!!!!!!!!!! THANKS, THIS IS THE FIST SET OF ICONS I DECIDED TO TRY. GREAT WORK.